After 111 editions of the newsletter, starting back in 2003 when Richard Davey laid down the foundations for a highly successful and sought after publication, The Game Creators are moving into a new era of communicating with the dedicated game-making community. This will be the last of the current format of newsletter, as we follow in the trail that the products are already blazing through the world of PC and mobile app development. The Game Creators have lots of news and it's happening faster than ever before. We don't want you to have to wait a whole month to find out what's happening, we want you to know about it the moment after we've thought about it. In the very near future you'll see a new facet to the TGC website, packed full of news, product updates and everything else you expect from your monthly newsletter delivery...only faster and more up to the minute. So...enjoy this last, but as always fact-filled edition of The Game Creators Newsletter. It's been a thrilling ride, but it's only taken us to the peak of the first pinnacle of a long rollercoaster ride. Hold on tight, and we'll be back with the new service before you know it. Once an avalanche starts, it's pretty hard to stop it, and that's what is happening to the 107 update. We started with a modest ambition to augment the command set with some key extras requested by our community and features we wanted internally. Half way through March we realised we had added so many commands that a March release would have risked stability, so we have given ourselves April to refine the commands, bolster the documentation and test the new command set. You can now access the camera on your device and capture an image which can be used directly in your app. Great fun for capturing faces and cutting them out for use in personalisation apps, or adding a custom background to your game. In addition to the camera commands, you can raid the existing photo library of your desktop/device to grab an image directly, allowing you to browser through your entire photo collection. Encode and decode QR codes from inside your app. This feature allows you to convert any line of text into a special symbol that can be read by any QR code scanning software to convert it back into the original text. Often used to encode a website link, you can display this code on screen or print it out, allowing your users to scan it with their phone and jump to a link instantly. We have added image commands which allow you to take control of the creation, copying, grabbing, modification and saving of images to the local system, including a rather cool command called SetImageMask(iImageIndex,iSrcImage,dstchannel,srcchannel,x,y) which will allow you to insert a channel of image data from one image to another. This means you can insert an alpha channel into an existing image to create masks on the fly. A typical example of this command in action is taking a photo and then cutting out the head in real-time and then using the resulting image in your app. As TGC continues to add platforms, we are consistently amused at how much time we are saving writing our app once, and how much fun we're having just dropping legacy apps onto brand new platforms and watching them perform 100% the same. It defies fragmentation so easily it could well be seen as cheating! As you can see, some very cool commands that work well across all our platforms, and we look forward to announcing this new update in April. Speaking of platforms, we're also making great progress on our browser platform which is Java + OpenGL based. We have run successful tests on both Windows and Mac, across all the major browsers including IE, and we're happy with the performance we're already getting, and that's before optimisation! We're currently supporting all of the low level interpreter (T1) instructions (variables, arrays, control flow, stack, functions, etc) and 147 commands from the main language including sprites, sounds, basic Box2D and file commands. The great news is that the app you are now developing on Windows will look identical when running on the browser as we have been able to map our C code to Java almost like for like thanks to OpenGL. The browser platform will not be part of 107 as there is still a way to go, but you should not have to wait too long before it becomes available to you, and of course we are including it free to all existing AGK users. The road-map then puts us looking at the HTML5 version of the same platform, which will allow you to drop the requirement for the Java run-time plug-in at the cost of switching from OpenGL to HW accelerated HTML5 canvas. As TGC continues to add platforms, we are consistently amused at how much time we are saving writing our app once, and how much fun we're having just dropping legacy apps onto brand new platforms and watching them perform 100% the same. It defies fragmentation so easily it could well be seen as cheating! On a related note, Lee's submissions to the Blackberry Playbook Competition was successful and he has received an email confirming the delivery of a brand new Playbook for his personal amusement. Congratulations to everyone who did the same and submitted their AGK apps to get a free tablet. We will keep you informed of other offers in the world of development. BoxShot is the ultimate retro skill-stop game. This popular game provides hours of intense game play which will test your reactions & skill stop abilities. The concept and idea of BoxShot is simple, yet challenging, especially when competing against your friends and family. Easy to play, hard to master! Put your skills to the test and see if you can achieve the highest score. 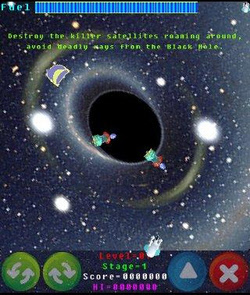 Travel between the stars and battle an alien invasion from a black hole! Black Holes are used as intergalactic tunnels by an aggressive alien race, determined to conquer the Earth and enslave mankind. Hold on to killer satellites, deadly spheres, asteroids and terrible bosses, under the ubiquitous influence of the black hole. 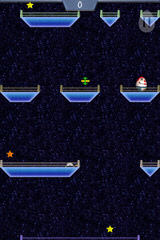 Cross the energy barrier created by the enemies while avoiding the collision with their spaceships. Use four soft keys to rotate your space shuttle left and right, enable the rockets and fire the missiles. Pay attention to fuel efficiency when using rockets, if you run out you will be forced to wander under the gravitational influence of the black hole and at the mercy of your enemies. Enjoy the game, and beware of the black hole! If you have published a game written in AGK - Tier 1 or Tier 2 - then you can use the Gallery to show off your creation. Link your Game listing to all the major marketplaces and use it as your own personal Sales channel. Here is what you can include in your entry, the Gallery will do the hard work of presenting it perfectly as a web page dedicated to your game. The Gallery is here, log in to add your Game (or Application) Listing. We have also provided some hints and tips on how to write a good description of your game here, to make sure you attract as many new customers as you can. The App Game Kit solves many problems caused by mobile device fragmentation. With it you can code your game once and then deploy your game to multiple platforms. 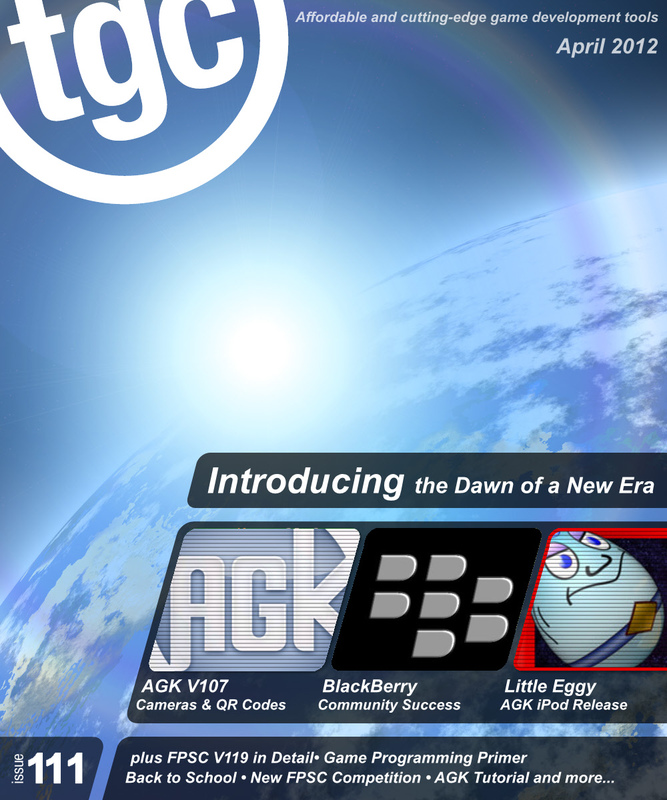 Different resolutions and input systems are all handled by AGK. With its own BASIC script language App Game Kit makes it a cinch to code your games. 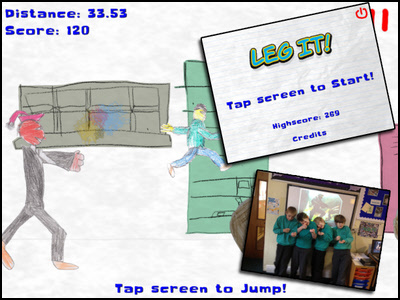 Game designers, artists and many more budding game makers can start creating their own apps. Look no wires! Compile your BASIC games in the IDE, then transmit them over your WiFi to multiple devices for instant testing. Creating games with this new cross-development model will result in your productivity increasing significantly as you instantly target multiple platforms. 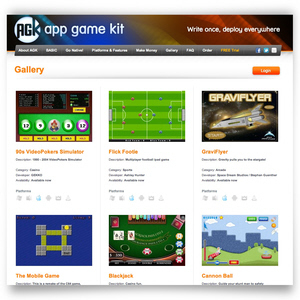 AGK was developed out of our own need to create a one stop solution for making game apps for mobile devices. 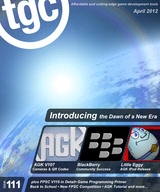 In the past TGC had developed games for one device and then wanted to port them to other platforms. The process of conversion was costly and repetitive. The team wanted to spend more time creating new games and not burdened with laborious conversion work. The TGC team has a wealth of experience in creating game creation tools spanning well over a decade. Taking that knowledge and working with our loyal and enthusiastic community we set to work on creating AGK. This phase one of AGK is just the beginning. We aim to spread AGK across as many different platforms as possible. Meaning games you code in our AGK BASIC will instantly work on other supported platforms as we bring them into the AGK portfolio. We're very excited about AGK, we feel it's the foundation of a great game making platform and we're 100% behind its evolution and development. We will continue to work with our community to ensure the AGK meets their needs. This course, created by Jonathan Harbour, teaches a complete beginner how to make a video game using the DarkBASIC programming language. A video lecture shows how to get started with this easy-to-use programming tool, while lecture presentations cover more in-depth instruction on the language and features of DarkBASIC Pro. Several simple games are created in the lessons following the video tutorial. The course is broken down into over 20 individual lectures so you can progress in your own time. The course is freely available on the Udemy website, and includes both video and written content. The course starts from the absolute basics and progresses through all of the programming concepts required to start writing your own games. Jonathan Harbour has been programming video games since the 1980s. He has written on subjects including Visual C++, Visual C#, Visual Basic, Java, XNA, DirectX, Allegro, Python, Lua, DarkBasic, multi-threading, game consoles, and game engines. MULTIPLAYER - This game was always meant to be multiplayer, and now that's where it's going. BOTs will still play a part to fill the game ranks or provide training, but blowing your friends to pieces will be the aim of the game now. MORE CARNAGE - Gore and deaths will be taken to the next level. Rather than set death animations, the game will make use of rag dolls and a full dismemberment system which allows you to comprehensively take your enemies apart. Heads, torsos and limbs will all have a more detailed damage model, severed parts will be treated to rag doll physics, blood and arterial spray will be stepped up, injuries will be calculated per limb so weapons affect the body as expected, and animations will be improved significantly. LEVEL EDITOR - While discussing the best way to create cool levels, it was decided it would make sense to include a level editor. You'll be able to click levels together easily out of prefabs, add spawn points, weapons and other basic game logic, drop in death traps and doors and place their triggers, and it'll all be light mapped nicely with the aid of Dark Lights. HEIGHT - The demo managed to hide the fact it's essentially 2D by showing the action from a birds-eye perspective, but the full game will introduce different heights. You'll be able to jump gaps, fall to your doom into lava pits and send dying rag dolls tumbling down staircases. WEAPONS - You've seen a load of cool weapons, but how about remotely detonated sticky bombs, toxic waste guns, laser trip mines and shuriken launchers? They'll be in, as well as other weapons, and several new turret types for you to control. 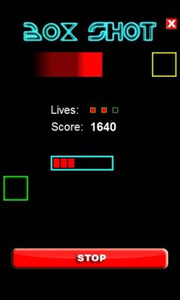 Enforcer - An all-against-one game, played at about 65% game speed, where a single 'Enforcer' player (who moves at full speed and has more health) attempts to take out all the 'criminals' on the map. Whoever kills him becomes the enforcer. If he kills everyone, he gets big points. Body Guards - One team escorts a VIP from point A to B. They can die and respawn as much as they like, but they have to keep the VIP alive while the other team try to take him down. Pitch Black - One small team play as ninjas with swords, while the remaining team have bigger weapons, but while the Ninjas see all in the darkness, each player in the large team can only see a small circle around them. Ninjas can dart in and out of view, taking down their prey with a single attack, while the larger team must work together to hunt down the assassins. All these game modes are currently just design ideas and are subject to play testing. The game will ultimately have some unique gameplay modes which set it apart from other shooters. On top of that, expect a more detailed commentator system to praise and mock you even more than before, and hopefully a step up in visual quality. So for now, expect design screenshots and updates and hopefully multiplayer alpha testing won't be too far away. What is the Carnage Story? Operating on the interim of the law, the new programme ‘Carnage' offers the audience the opportunity to see real warriors actually fight to the death. But how is this possible? How is it legal? Through the power of PBMR and the Reconstructor, combatants are brought back to life, right before the crowds' eyes. Their various splattered remains are molecularly located, transported across space, and reconstructed, just before the Reaper can get his bony mitts on them. Now how's that for cheating Death? The magnificent Reconstructor also allows some experimentation with the molecules of our warriors. Through the same technology, our battlers can be ‘powered up' to possess super-human abilities, all for our entertainment. They can be made transparent, given incredible speed, or even morphed into something all together different - like a Reaper look-a-like for example! Who's laughing now, Mr Death? Carnage promises true mortal combat with genuine fatalities, but in the final moments of total death, your favourite hero is brought back from the brink! He's ready to do it all again, all in the name of entertainment ... and of course, in pursuit of the biggest pay cheque in the industry. So the viewers are tuning in by their millions and arena tickets are selling out in seconds. And of course, the hardest warriors are lining up to do battle, fearless and greedy. But it's all in the name of good wholesome entertainment. If the crowds demand it, who are we to argue? After all, nobody is (permanently) harmed during an episode of Carnage. So, without futher ado - fire up the Reconstructor and let the Carnage begin! You can download the demo here, please be aware that this game is rated 18+. Any feedback can be left in the forum thread where the discussion is already ongoing. Everything you need to know about both DarkBASIC Professional and FPS Creator development can now be found via Lee Bamber's Tweets. You'll get to hear about every bug fix and feature as it's implemented. Start following Lee now to get the latest news about your favourite development tools as it happens. As most people are aware, there has been a lot of buzz around the BlackBerry PlayBook developer promotion; successfully submit an app or game to the App World and receive a free tablet PC for your efforts. The TGC Community have jumped at the opportunity, and thanks to the short development times possible through AGK, many developers got their submissions into the system in just a few short weeks. In fact for most, it was simply a case of taking apps originally developed for Android, iOS or various other platforms and porting it to the PlayBook. The Game Creators played their part, accelerating the publication of the PlayBook platform technology stack to enable all of this to happen. We are aware of at least 8 AGK apps that have been successful so far, with more still waiting to receive the final acceptance after minor tweaks. Here are just a few of them. 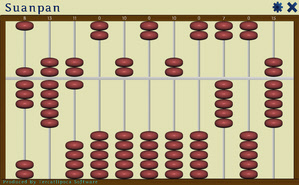 Written by Laurie Hedge, this is a simple abacus app supporting 3 types of abacus: Soroban, Suanpan & Russian) as well as a variable number of rods on each abacus. It can be downloaded to your PlayBook for free now. Resistors are common (but vital) elements of electrical networks and electronic circuits and are found in all electronic equipment. Most axial resistors use a pattern of colored stripes to indicate resistance. This calculator allows the user to easily identify the resistance value (in Ohms) by decoding the coloured bands on the body of the resistor. 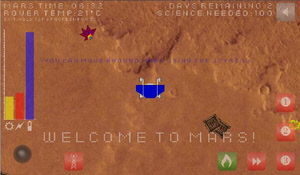 You play as the controller of a Martian rover as it makes its way across the surface of Mars. You must investigate the features of the landscape using 1 of 3 science equipments making sure you collect enough science points before your mission is over. While on this journey of exploration you must look after the rover by making sure its batteries do not get flat, keeping the rover warm enough to move and avoiding the creepy Martians. How long can you keep exploring Mars for? Download from the App World now for free. "The best advice I can give to others is to test, test, test and then do some more testing - so much comes out of testing that you really need to dedicate about 50% of your development time to play-testing. Given that we had about 14 days to submit something for this BlackBerry offer, I set aside 7 days purely to play test my game and implement any changes. Sticking to this plan is the hardest as you think of more ideas, but it's really essential that you discipline yourself to the testing phase or you may regret it. Maintaining my schedule for this app was only possible thanks to the example projects and good documentation of AGK. I hope TGC continue to maintain the documentation and examples with future releases as more features, functions and platforms are added. "In terms of challenges the only thing I really had to battle with was feature creep. Since AGK was so nice to write and test in, the more I tested, the more I wanted to add features and the easier I found to add them. Looking back I ended up adding more things in than I thought would have been possible given the short time-scales. "At the end I didn't really mind whether I ended up with a BlackBerry PlayBook or not, I was just proud to have my game on an app store and to be a part of this challenge with all those that joined in on the forum. Obviously, now that it's confirmed that I have a PlayBook in the post I'm even more pleased!" 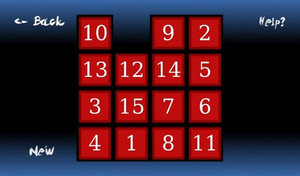 A simple puzzle game which requires you to move all of the pieces into ascending order. The lite version allows you to play a 3x3 grid and a 4x4 grid. The full version of the game has more sizes to play and different game modes. Bryan plans to do more with this puzzle app. " I am planning on releasing a paid full version with more game modes such as 5x5 and 6x6 grids and different win conditions to increase the difficulty. However, being a college student has delayed that for the time being. Soon though!" Download this free game for your PlayBook from App World. There are many more apps to be found, including those from Tone Dialer, Daniel Foreman, Lee Bamber and there's even one from myself. Rick Vanner recently spent 6 sessions over a 6 week period with a group of children from the local federation of primary schools. Federations are a relatively new way for UK schools to work together, many of them as Academies. It allows more opportunities for the children to experience real-world activities by inviting professionals into the school through creative partnerships, and this is just what TGC have done. The children learnt about the games industry during these sessions and together they made an App! The eager participants drew the graphics, made the music using Garage Band on the iPad and also recorded the sound effects. Steve Holding then coded their idea using AGK and the app is now live to download for free on iOS and Android market places! The experience progressed from idea to realisation and then out into the marketplace, where you can download it now. Airline Sharks! 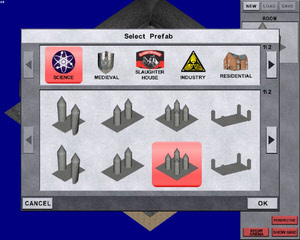 is a new 3d board game for Windows XP/7/Vista. Developed in DarkGDK.net, it is a great example of what can be achieved by adding a novel slant to an existing genre, and is yet another commercial release from within the community. Can you dominate the airline industry and make deals for your airline that put you on top of the world? The goal is to lease as many airports as you can, expand and sub-lease to other airlines. There are also periodic tragedies and emergencies that can impact your bottom line. 1 to 6 players compete for prime real estate and high priced contracts/leases. You can play against AI opponents, or invite up to 5 friends. You can choose any of 6 current airlines, or resurrect airlines from the past; see if you can lead them to their previous glory. 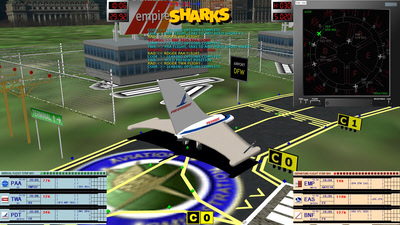 Airline Sharks is available to purchase from Aero Studios, where you will also find more information and in-game screenshots. Something that is vital to developing games for multiple platforms is making sure that the game plays the same whether it's being played on Android, Windows or Blackberry. The speed a game is able to run at depends a great deal on how much consideration has been given to optimisation but just because a game runs a little slower on one person's device doesn't mean gameplay has to be sacrificed! The frames per second (fps) that a device runs your game at can (and should) be taken into account when you are writing your game. AGK makes it easier to perform operations at the correct speed in a number of ways but there are some that you will have to consider for yourself. Moving a sprite by a set amount each frame does not make it move the same speed on different devices, for this we have to include a calculation for time. Let's create an example of this by making a sprite move at a constant speed across the screen. Boring I know, but this principle is vital to creating cross platform games! Notice that we also assign a variable a speed value for the sprite. Now we need to find out how much time has passed for each loop, AGK has the perfect command for this called "getFrameTime()". This returns the amount of time that passed between the last two times the "sync()" command was used and gives us a value in seconds (1.0 would be one second). Add the following code in the loop to assign this value to a variable called "ft#" (short for frame time). Something that is vital to developing games for multiple platforms is making sure that the game plays the same whether it's being played on Android, Windows or Blackberry. The speed a game is able to run at depends a great deal on how much consideration has been given to optimisation but just because a game runs a little slower on one person's device doesn't mean gameplay has to be sacrificed! The "screenFPS()" command returns the current frame rate of your game. Try changing the sync rate value and test the effect. You should see that the sprite moves at the same speed no matter what you set the frame rate to. This can be used to ensure that movement and rotation of sprites remains constant but it is a little trickier when it comes to sprite properties such as colour, alpha or size. For this we need to store a "goal time" when our animation should finish. A good example of goal times being used is when animating smoke. The particle system for AGK (which will be covered in a future tutorial) can be used to simulate smoke but here is a simple example of how smoke can be simulated using TBM and ordinary sprites. Ideally we need to keep track of a "goal" time for each sprite, for this we will create an array to store data in. "type" tells AGK we are defining a UDT and gives it the name "smokeType". The next line defines an integer data type called "spriteID". The next line defines a floating point data type called "endTime". The last line of the UDT definition "endtype" closes the definition. Finally we create an array called "smoke" and define it as using the UDT "smokeType". This now lets us use these different data types in the same array making it easier to keep track of our sprites. Now we will create a single function (after the game loop) to create smoke and update any existing smoke. This may look a little complicated but read through the comments and try to understand what is happening in the function. 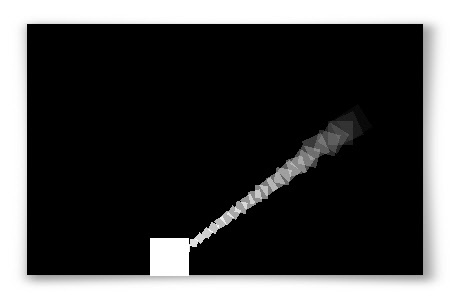 This is a common method of creating a simple procedurally animated system like a smoke particle system. Storing data in an array is a great way to keep organised information in your game and really take advantage of timer based movement and animation. Why not try adding a simple "smoke" image to the smoke sprites or try to add additional code to change the colour of the smoke? Maybe you could even make the smoke rotate randomly by adding another data type to the UDT? Experiment and have fun and remember that when it comes to gaming, timing is everything! The full code and a compiled version of this month's example can be downloaded here. As an extra challenge, why not try to build a more complex structure to demolish, using the simple techniques learned in this tutorial. It's been quite a few months and like most betas, V119 has had its ups and downs with all the heartache and joy that accompanies public development. As we approached the end of March work could finally begin on the last few late reported bugs and start moving to that elusive of all things, a final release. Whilst the original plan for V119 had simply been to integrate Bond1's excellent new shader system and move a choice selection of WASP mod features into the vanilla engine, over time this evolved into something greater as we considered many of the requests and feature suggestions from the forum users. So, what will this latest version offer users? Hopefully, most beta users are already now seeing a boost to performance, and finding uses for the new entity culling system, which will help in improving those outdoor scenes that many users are keen to develop as well as offering the opportunity to show and hide individual entities. In addition and by popular demand, FPSC now includes an entity based camera system, which has already seen some great projects even in it's beta state from such users as The Zombie Killer with his third person scripts, and Marc Steene's impressive AC130 scripts. Updates have also been made to the current water system to add oxygen levels, and water currents, giving your water levels a little more functionality. options and the ability to force weapons to weapon slots or lock them completely. In addition, you can now control the custom animations that are already part of the default media quickly. These are easily accessed by the simple use of the new action presetgunanimation=x, where x is the preset name of the required action. So, for example presetgunanimation=handpush would play the gun animation for push a button. A more complex version is available for custom modelers in the form of playgunanimation=x y where x and y are the start and end of the animation. Linked to the new lockemplacement and freeemplacement actions designed to simulate gun emplacements and add the ability to toggle between alternative fire mode using swaptoalt the possibilities are huge and we shall leave you to contemplate those. There has also been time to add a number of new gun related conditions to give all of the advanced users that additional edge when playing around with the scripting language. Allowing monitoring of such actions as plrzoomed, plrusingreload, and so forth. "For those users who like a totally random approach, the new mutate action is for you, randomly altering the appearance of each limb, creating a totally new 'mutation' each time! There's also been time to think about how characters appear, and to this end you may now scale characters, either globally via the scale action or each individual limb via the scalelimb; you can even hide the limbs all together using hidelimb and showlimb. Combine this with the limb targeting feature already in V118 and it's time to start shooting arms from those pesky zombies. For those users who like a totally random approach, the new mutate action is for you, randomly altering the appearance of each limb, creating a totally new 'mutation' each time! and lots more and all on the fly! A new feature is the addition of body armour. You get full control over hud design, placement and armour value, you can even pick up additional armour to add to your stock. This - combined with the ability to actually make the player immune to damage - opens up a realm of possibilities so it's never been safer out there! It's just a shame that entities can also now be made temporarily immune, so look out for those 'super' monsters that require more than just shooting to defeat. checking to see how long it is since the entity last received damage using the new damagetimegreater condition. Some work has been done on both the hud system and the rawtext features. The ability to scale and change the alpha on huds has now been added via the actions, scalehudx=x y, scalehudy=x y, changehudalph=x y and as a teaser is the first of a few planned changes to the hud system! You'll have to wait until V1.20 for the remaining changes. For the rawtext there is the new addrawtext=x and addrawvar=x which adds to the current rawtext string, either text in the case of the former or a variable value in the case of the latter. A further set of additions come in the form of the Team Death Match mode, generously donated by Plystire. To support this the compass and radar feature can also be used in multi-player games. That should give everyone a good taster of the possibilities that V119 has to offer, we hope that this update has given users at least some of the features they felt were missing and trust that you all enjoy using them as much as I've enjoyed implementing them. Special Offer while Stocks Last - $29.99, Save Over $150.00! FPSC 119 Competition - Blow Us Away! To celebrate the release of V119 into the world, we're please to announce the official V119 game design competition. We're looking for the best use of all of the new features and are offering some pretty nice prizes too. 3rd - Any 1 official single model pack from TGC. All entries will be scored in 4 categories, and there are a total of 100 points up for grabs. Overall use of the new V119 features :0-50 points available. 1). You must be a registered TGC forum user. 2). The game can be of any genre, and must consist of between 1 and-3 levels. 3). You may use any media, including custom (in fact you are encouraged to do so. ), but you must supply a commercial use license for any and all media used in the game as part of the final entry. 4). Teams may enter, but must have a team leader who will be responsible for informing TGC of how he/she wishes any prizes to be distributed. All entrants must announce their intention to enter on the official thread. 5). Entries must use vanilla FPSC V119 only and may not use any modified versions. 6). Entries must be original work that has not been started before the start date (TBA) or before you have announced your entry into the competition. 7). Entries must show a WIP thread, on the official TGC forums WIP board no later than 1 month after to start date of the competition and must follow the official guidelines for all WIP work. 8). The competition will run from 2 months from the start date, which will be announced in the official thread. Final entries must be made available by this date via upload, should an entry fail to download, the entrant will be informed and given a chance to fix the error. Further failures will count as null entries. 9). The judges decisions are final and will be based on the quality of the entries alone. Judging will take approximately 1-2 weeks dependant on the number of final entries and will be announced on the FPSC chat board. Entries that fail to meet any of the above conditions will be declared null. Good luck to all entrants and we're looking forward to seeing what you guys can come up with. The characters from the deviously challenging PC platformer are back on the iPod and iPhone for an all new ridiculous adventure. Being the pathetically vulnerable little eggy that you are, you must carefully navigate your way through endless waves of platforms and hazards as you plummet towards inescapable death. If you fall too far before landing on a platform or are unable to transcend from a platform quick enough, you're gonna CRACK! Along the way, watch out for an increasing number of springs, spikes, saws, lasers and other obstacles that are sure to CRACK you up. The longer you survive the faster you will have to SCRAMBLE to avoid the inevitable. Okay, enough with the wiseCRACKS! As you plummet uncontrollably, you can collect magical spinning stars to increase your score and spawn protection if enough have been collected. Collectibles will also appear to assist and interfere with your journey. Each of the seven existing worlds has its own unique properties and challenges. You can collect some serious coinage as you transition from world to world. Fixed a potential crash if NPCs are disabled when they go off-screen. Collision Damage is now correctly set for NPCs. This new video highlights many of the features of the Shoot 'Em Up Kit, including the editor and the resulting games. The shoot 'em up kit allows you to create your own professional quality 2D or 3D shoot ‘em up using a powerful graphics and audio engine with just a few clicks of a mouse. 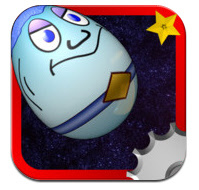 Create your own 2D or 3D shoot ‘em up using a powerful graphics and audio engine. A few seconds and you have a game - creating a game can be as simple as choosing and placing a player model, choosing and placing an enemy model and clicking ‘Play'. Build levels using your own models or drawings, or use the ones provided. Set up lighting and camera views and behaviours. Control the Physics settings and watch nVidia's PhysX simulate your world. Use default settings to create a game quickly or tweak hundreds of settings to make the game exactly as you want it. Choose from many different types of AI, or blend several types together, to bring characters to life. Add music to your games and create sound effects. Customise behaviours using an easy-to-use tool which allows you to control events. Build your own Front-End (Menu) screens or HUD (Head's-up -Display) to display the score, etc. Share your own creations with the community and receive feedback, or be inspired by the games from other community members. The Shoot 'Em Up kit is available to purchase now from The Game Creators' website, along with full product details. It is a month of new beginnings for me as well as the App Developers Group. As well as having a new baby son just over a week ago I have also received a new BlackBerry® PlayBookTM for uploading my game "Flick Pong" to the Blackberry App World. Although it hasn't passed validation yet I have successfully got the game loaded and working on the playbook itself, finally! The ADG itself also has a new beginning in the form of the new game site we have put together. http://www.baxspace.com finally went live a few weeks ago (thanks to a lot of hard work by the ADG admin) and we have great plans for developing the site further. I would like to invite anyone who has a published game to register on the site and create a game listing, it's free and open to anyone. You don't have to be a "member" of the group (which is a loose term for us anyway), just register and upload the details to the site and we'll validate your listing before it goes live! If you have any suggestions or questions regarding the site just let us know and we'll listen. We have our own forum which you can access once you have registered on the site and you can post them there or join in one of the many discussions. Available now in the Blackberry App World store, for BlackBerry® PlayBookTM. You are a waiter and you must deliver your drink to the customer. Play on your BlackBerry® PlayBookTM held like a tray, and make sure you don't spill the drink. Watch the reflections in the top of the drink to assess your progress. All spillages reduce your tip, and if you smash the glass you'll incur more disdain and even lower tips. 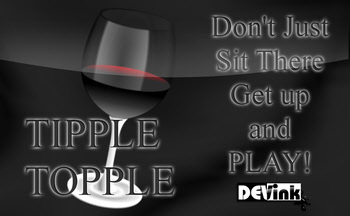 Get your drink there fast and get it there perfectly! Up to four players. Create your own courses, from four times around the dining room table, to twice around the garden or all the way around the neighbourhood. High Score table, and highly competitive! Made by the pupils from The Federation of Pott Shrigley & Bollington St. John's CE aided primary schools during the game making academy with the assistance of The Game Creators and code by Steven Holding. Outrun the headmaster for as long as you can, tap the screen to collect sweets for an energy boost or to jump over obstacles. Making multiple objects within the scene that are 12 poly is also allowed, or multiples of the same object. A final render of your scene and a wire frame showing the poly count will help us judges. Last month the task description was kept very simple - make an Instrument. We have our 3 winners who will be sporting their Forum Badges for the next month. Keep your eyes onthe 3D Chat forum in the future for new competitions, and the chance to wear the badges with pride for your artistic creations and efforts. This is a very well made model and there was no poly count limit on this compo. This is the type of model that works best with procedural textures rather than a UV mapped model. Think this is our top contender for 3D Master. This is a work in progress, but we have to say the way The Slayer made his entry render shows that he put some real effort into it and we can get a good sense of the direction he was going. We like this one and award the 3D Best Texture badge. Basically, in the simplest terms possible, Placement Editor Professional is like AGK Placement Editor on steroids. It's worth noting here that the full source code is now included. 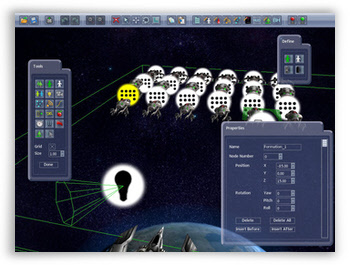 It is akin to the AGK placement editor, with over 30 additional features. The best way to appreciate it is to try it. Daniel Foreman is known for his Video tutorials. Putting his new PlayBook to good use, he has posted this tutorial on getting your Android Apps on the BlackBerry device, whether you just bought one or have received your well-deserved free hardware by publishing your AGK game / App. Join over 4,300 TGC fans on Facebook for the chance to win a $100 gift voucher each month. Simply add yourself as a TGC Fan using the "Like" button and then actively participate in the discussions at least once a month. We'll pick a random winner from all who input into the TGC Facebook discussions. The voucher can be spent on any of the products on our site. Sign up now, and good luck! This last issue marks the 111th edition of the newsletter, another remarkable milestone to enter a new era with and one which has prompted a look back into the archives. So lets start at the beginning, issue 1, and how it all started. Richard Davey brought us the very first issue back in 2003. Included was news of the upcoming Patch 4 including the new DBO file format, the 20 line challenge, tutorial announcements and details of awards won by the team. Little did anyone realise just how popular the publication would become! If you want to find out more about Lee Bamber in an early interview, or look back at the curious DarkBASIC Professional Dongle then check out issue 2 of the newsletter. In issue 7 we got to meet Rick Vanner and find out why Dark Basic Software became The Game Creators. 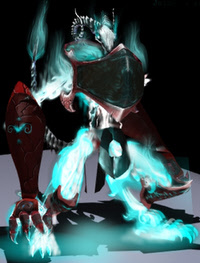 Back in July 2003 Shaders were already a hot topic, and the team revealed a new set of commands in the upcoming Patch 5 to aid their implementation. It surprised me to read again in issue 9 that Caligari's GameSpace was coming to fruition back in September 2003. It was also the same month that the first ever UK DarkBASIC convention was announced. Issue 11 saw the announcment of Driving Test Success Practical, written in DarkBASIC, which went on to become a top seller and other titles in the range followed soon after. Jumping in to 2004 with issue 13, the results of the Alienware competition were announced. This was my first ever completed project, and the start of a time-consuming hobby! 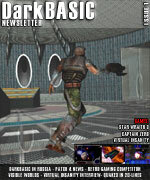 Moving on to issue 18, readers got to see just what can be achieved with DarkBASIC Professional and physics. 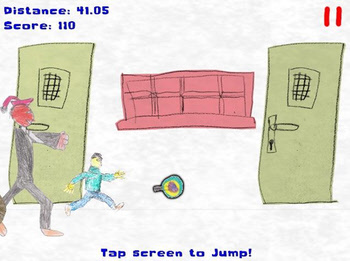 Walaber, the forum dweller behind the Newton Physics Wrapper, published Ragdoll Monkey Bowling, a rather bizarre but ingenious way to show off the possibilities of ragdolls in homebrewed games. Issue 22 brings us to October 2004, where Binary Zoo were brought to our attention. In this case it was for DuoTris, a beautifully presented, explosive, fast-paced puzzle game. It was the follow-up to Duo, their first and also very popular offering, and was soon to be joined by Mono, which was featured in issue 25, the first edition of 2005. 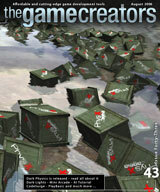 Big news appeared in issue 26 - the EA release of the much anticipated FPS Creator had arrived. 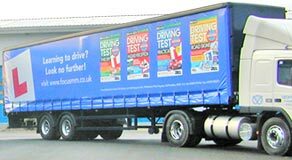 This overshadowed one of the more strange stories appearing the same month, where it was revealed that 40 foot lorries would be adorned with adverts for the Driving Test range of products written in DarkBASIC! Advertising doesn't get much bigger than this! After successful and productive feedback from the EA users of FPSC, the final product was announced in issue 33, proudly adorning the front cover. This was a huge landmark in the history of the company representing 3 years of development, changes, texturing, modeling, animating, sound effect creation, music composition, PR, artwork, testing and evaluation. Today, the same users are anticipating the forthcoming release of Update 119 which represents a massive evolution in the product, and the upgrades are still free! Issue 35 warrants a special mention, as it highlights the ever-growing complement of products and additions to the game-development scene that exists around DarkBASIC Professional. In this edition, there were announcements for the release of T.Ed, the Hands On DBPro book, Unity Scripting Pack, TextureMax, and Dark Injector, a free utility from regular contributor, The Winch. TGC likes to keep their customers up to date, and in issue 39 there was a sneak preview of Dark AI and Dark Physics. As usual, this created a big stir on the forums, and rightly so. Dark Physics was duly released and announced in issue 43, the front cover illustrating a simple but fantastic demonstration of crates floating and bobbing on water. Not only did the image portray a new era in the technology available, but it also revealed just how good a scene can look with the introduction of a water shader. Click on the cover image to view the full size picture and remind yourself of the power at your fingertips! PhysX in DarkBASIC Professional was nicely demonstrated in issue 46, with the results of the first ever physics-based competition. The astounding entries were rewarded with a plethora of hardware, software and other goodies from Ageia and BFG. And if that wasn't enough, the Nvidia Game Dev competition was announced, with an even bigger horde of prizes. That brings us to issue 49, another landmark issue. On the product front, the rumblings of FPS Creator X10 are starting with some revealing videos of the technology in action. And the man who started this incredible journey of monthly news, views and gossip, Richard Davey, departed for other exciting challenges. I took on the role of editor at issue 50. Every issue has been a pleasure to create and has given me the advantageous position of seeing TGC continue to evolve, and bring the community with it. You can continue to browse through the back issues at your leisure, bringing you up to the current - and last - edition. Remember though, that this is simply an evolution of the news you have come to expect, evolving to keep up with the momentum that TGC is gathering. There are much more bigger and exciting developments already looming on the horizon and we will continue to deliver the product updates, community achievements, competitions, market news and all you expect from us in a new and more immediate style. Keep your eyes open for this new development soon! "Every computer program is the dawn of a new error." The Game Creators in no way endorse or support products mentioned in this newsletter that are not specifically published by them. Always check first before parting with your money. © The Game Creators Limited 2012.